Canine Parvo | Beauty. Skin Whitening. Health & Sexual Wellness. Canine parvovirus is a highly contagious viral disease that can be life-threatening. I have personally lost more than 5 dogs to this sickness. The virus attacks rapidly dividing cells in a dog’s body, most severely affecting the intestinal tract. Parvovirus also attacks the white blood cells, and when young animals are infected, the virus can damage the heart muscle and cause lifelong cardiac problems. How can you tell if your puppy/dog has Parvovirus? The general symptoms of parvovirus are lethargy, severe vomiting, loss of appetite and bloody, foul-smelling diarrhea. More likely than not, when a puppy suffers from parvo, they die from dehydration. Veterinarians diagnose parvovirus on the basis of clinical signs and laboratory testing. 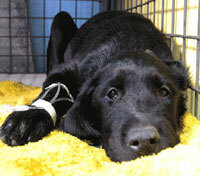 The Enzyme Linked ImmunoSorbant Assay (ELISA) test has become a common test for parvovirus. The ELISA test kit is used to detect parvovirus in a dog’s stools, and is performed in the vet’s office in about 15 minutes. Because this test is not 100% sensitive or specific, your veterinarian may recommend additional tests and bloodwork. You can protect your dog from this potential killer by making sure he is up-to-date with his vaccinations. Parvovirus should be considered a core vaccine for all puppies and adult dogs. It is usually recommended that puppies be vaccinated with combination vaccines that take into account the risk factors for exposure to various diseases. One common vaccine, called a “5-in-1,” protects the puppy from distemper, hepatitis, leptospirosis, parvovirus and parainfluenza. (3) A dogs poop says alot about its health. Always check to make sure that it is solid, not liquid and should not have blood and gel-like matter with a strong foul-smell. Especially for puppies less then 3 months of age, I would not recommend bringing them to malls or letting them walk outdoors during these early stages. 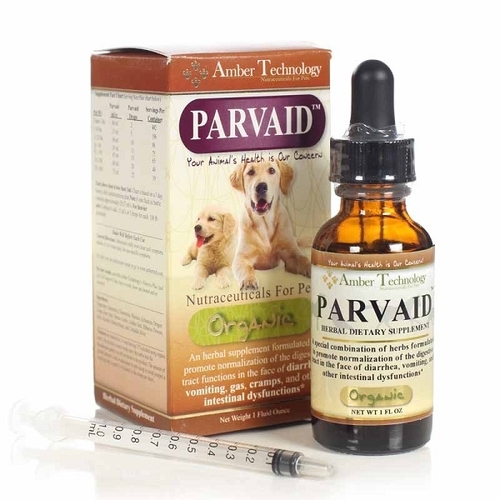 These first couple of months are very critical in a puppies life and their antibodies have not fully developed yet, so be proactive especially with regards to parvo. Make sure also to bleach your dogs area, toys, and feeding bowls regularly to deactivate the virus. Also check parvaid (paxxin) in cases of parvo prevention.